If you’ve been checking out our recent content, you may have had some indication that we rather enjoy Alien: Blackout here at Alien vs. Predator Galaxy. So when the people who worked on the game started to come out of their chamber of secrecy I jumped at the chance to chat to JD Sorvari, the Lead Writer and Narrative Designer for Alien: Blackout! First off JD, I just wanted to thank you for taking the time out of your day to come and answer the questions of a bunch of nerds on the internet! Before we start talking Alien, please tell our readers a little bit about yourself and your journey to being a part of Rival Games. As a fellow nerd on the internet, it’s my pleasure. Used to be that we didn’t see game writers interviewed in the media, but that is fortunately changing now. I used to be part of that problem, though not for a lack of trying, as I worked in games media for some five years before climbing the wall and escaping to the development side of things. My career before that was what you could call varied, ranging from assembling phones at the Nokia plant to being an assistant at a funeral home. Pretty much what you’d expect from a Comparative Religion major, eh? I’ve always written though, mostly for my roleplaying campaigns. That’d be my top tip to any aspiring game writers out there: get into dungeonmastering. You learn so much about creating a functional narrative that people will enjoy interacting with. Me joining up with Rival Games was one of those strokes of luck, where a husband of a friend heard of a new, local game studio looking for someone to consult a little on a project they had been prototyping. That consultation rapidly turned into me becoming the lead writer on The Detail, which was our debut game, followed by Thief of Thieves: Season One, and now Alien: Blackout. Something we always love to know is how our guests first became involved with the Alien franchise. Do you remember your first exposure to our favourite acid-blooded extra-terrestrial? And which of the films would you say is your favourite? For me, it was an irresponsible older cousin who had a sizeable collection of horror films and no compunction about sharing it with my 10-year-old self. I watched the original Alien from behind a pillow and through my fingers, and it is entirely possible I may have missed a scene or two, but it did leave me with a lasting fascination for the franchise. As for my favourite film, I have to say it depends on my mood. If I’m looking for straight-up horror, then it’s the original Alien, no question about it, but if it’s action I want, it’s Aliens. They’re very different from each other, but they’re both iconic masterpieces, so they get to share first place. Now for the most important Alien question you are ever going to get asked! When it comes to H.R Giger’s original Alien, are you pro or anti-skull? Oh that’s a toughie. I’ve actually seen one of the original heads, or possibly the original head at a Giger exhibition, and the skull really suits the design and adds to the biomechanical aesthetic of the piece. But, when it comes to the movies, I like the eyeless smoothness of the dome, and feel that the skull makes the creature, well, less alien. You’re credited as the Lead Writer and Narrative Designer for Alien: Blackout. Could you explain about what those roles entail and what your responsibilities on the game were? As writing for games is a constantly evolving discipline, most people have their own take on these two titles and the duties they entail. This is my current idea of them. Ask me again in a couple of years, and you may receive a different answer. While the Writer focuses on what you’d call the more traditional aspects, such as writing dialogue, figuring out plot and characters, world building, etc, the Narrative Designer is more focused on marrying the narrative with the mechanics of the game, or even making it one of those mechanics. He is thinking of how the story can be played, not just read. The Writer can sequester himself away for longer periods, while the Narrative Designer is up in the other departments’ business to make sure that the narrative vision is maintained and supported by the mechanics, art, level design, etc. 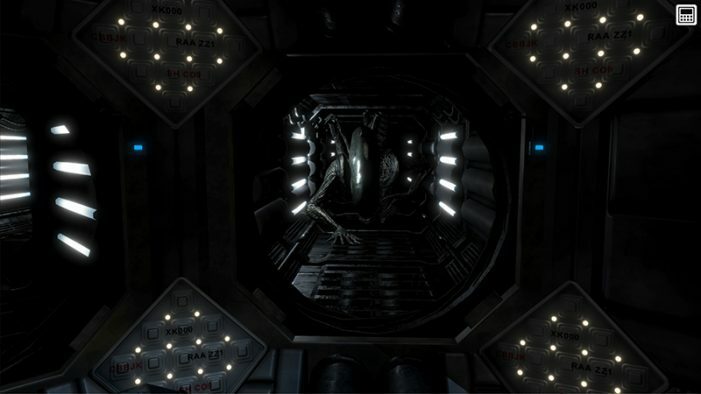 In the case of Alien: Blackout, I wore both hats, and was there to create the original game design document with the other leads, coming up with the plot and the characters and figuring out where we could advance the narrative in a game that is this strongly focused on the mechanics of gameplay. It was a new experience, since we had separate people wearing those hats (occasionally swapping them) in our previous project, but it did mean I was holding all the narrative strings in my hands at all times. You were involved from the very start of Alien: Blackout, having been involved in pitching the game to Fox. I was hoping you could tell us a little about that pitch and how Alien: Blackout changed from its initial concept up to release. Was it always envisioned as involved Amanda Ripley? The pitching process often involves a deck of about 10-15 powerpoint slides and some swift iterations of the original idea as it is brought in line with what the publisher and franchise holder would like to see, and this was no exception. While I am not at liberty to discuss details, I’ll just say it helped us sharpen our own vision of what we’d actually like to create. Having Amanda involved felt natural to us, since she was established in Alien: Isolation, and has actual roots in the film franchise as well. She wasn’t originally going to be the protagonist, but as the plot was streamlined a bit, she fell quite naturally into that role. Alien: Blackout has much more character and narrative than I’m used to finding in games on the mobile platform. Did you find it challenging writing the story for Blackout? Rival Games is a studio that is known for narrative, which made it a natural part of this project as well. Admittedly, Blackout presented some challenges, as the actual narrative space in the game is more limited than I am used to, and we also had to capture the feel of the franchise, but really, every game has it’s own special considerations, with no two being the same. As far as challenges go, these were pleasant ones, as they involved getting deep into the Alien universe and finding aspects of it to bring into the game. A lot of the backstory of Blackout is only hinted at but I was curious as to if it was discussed internally. How exactly did the Alien get on Mendel station? Was the body seen in the final level the host? Oh there was quite a bit of discussion and quite a bit of writing as well. Basically, you can consider the text in the game to be the tip of an iceberg, with so much more remaining hidden beneath the water. Some parts of it can be speculated on more easily than others, and once again, I am not at liberty to give anything away right now, but I can tell you that nothing was just thrown in randomly. I’m also curious about the decision to include a member of the Yutani family as one of the characters in Blackout. Was that something that came from Rival or did that come from Fox? This was a Yutani of my own invention. Having her in the game was really about me wanting to bring the Yutani side of the Weyland-Yutani equation into the foreground. For a franchise where the omnipresent company is half-Japanese, there is very little Asian representation in general, and this was my attempt to do something about that. Yutani also namedrops Mr Weyland. Fellow staffer RidgeTop noticed it was in the present tense so he was curious as to if it was intended to be a reference to a Weyland who was still alive like Michael Weyland from Colonial Marines/Alien 3? I’d say that one could be taken in a couple of ways. Either they are discussing a living Weyland, or a Weyland so remarkable in his own right that his influence still rests heavily over everything, making it seem he is still there. As I am sure you’ve noticed, I like to leave some room for interpretation like this, as it allows the audience to find their own meaning and be more actively involved with the story. Alien: Blackout continues the Alien traditional of naming spaceships after Joseph Conrad novels. Was Haldin the first choice? I think a couple of names were floated, so to speak, but it was Theory Interactive’s Alpo Oksaharju who came up with Haldin. It was a solid name, and with me hogging most of the narrative side of things, I wanted the Haldin to go to Alpo, since he just might be an even bigger fan of Alien than I am. I was also wondering if Mendel station was a tribute to Gregor Mendel, the father of modern genetics? Is this perhaps a hint at the kind of research that was taking place on the station? Themes of hybridization and experimentation were explored in some of the earliest drafts, and Mendel is actually the first and only name that the station has ever had. Having it named in tribute to Gregor seemed like a natural choice, and hey, it’s a pretty cool name. One of the stand-out levels for me was the Pharmalabs. It was the closest the game came visually to a Hive scenario. It was not a typical Alien-kind of locale but the spore angle reminded me of Prometheus and Covenant. I was hoping you could talk a little about the decision to include the Pharmalabs in the game. The Pharmalabs were born out of us considering what other kinds of research might have gone on at the station before the Xenomorph came along. Although it doesn’t always seem like it, Weyland-Yutani does have projects that have nothing to do with the Xenomorphs, and the Pharmalab was a reflection of that. Its original purpose on the station was to produce medicinal components, but maybe some peculiar DNA got thrown into the mix, and with no one tending to the mushroom farm, things got a bit out of hand. The fact that it made for a really visually interesting and freaky environment also featured heavily in the decision. 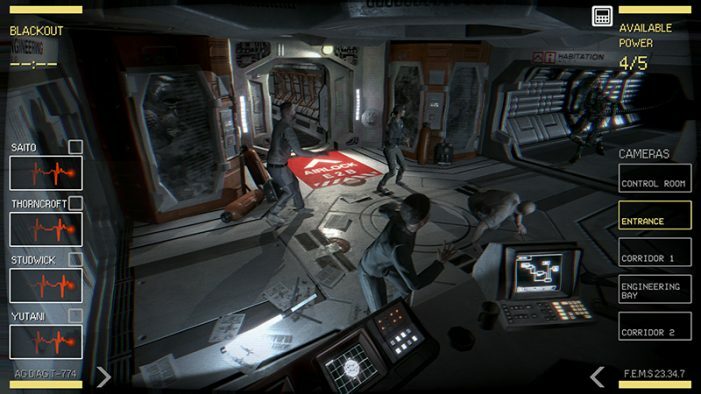 Though not touted as Alien: Isolation 2, Blackout definitely has some influences from the previous game including what appears to be some of the visual and sound assets. What access did Rival Games have to Isolation’s assets? Fox did allow for us to have a bit of a peek at those assets, some of which we then used as a reference while making our own. Isolation’s aesthetic was sourced very faithfully from the first Alien film, which was also our primary source, so it isn’t exactly a surprise that we ended up looking and sounding similar. Honestly, the fact that some people think we did an “asset flip” is in a sense flattering, since it means we reached the standard we were aiming for. The stark truth though, is that you can’t “flip” PC assets into mobile use like that. Outside of the Isolation influences, Alien: Blackout actually seems to share some linage with one of the very first Alien games – Alien on the Commodore 64. Was this deliberate and did you and Rival Games look at any of the other Alien games while working on Blackout? Oh we looked at all of them at one point or another. Just like with academic research, you have to be aware of what’s gone on before. The C64 one was a bit of a hilarious find, since it came up after we’d had our original idea. Even with some surface similarities, I can tell you that our original pitch was not to “recreate the 1984 Paul Clansey classic”. Was there anything that ended up being cut from the game that you would have liked to have seen left in? There is always dialogue the writer falls in love with only to have to leave it on the editing room floor. As said, the narrative space in Blackout is a narrow one, and while I would have loved to pour in more background and witty repartee, it is now left to haunt the database at Rival Games. How long did Alien: Blackout take to develop? From pre-production to post, Blackout was completed in less than a year. 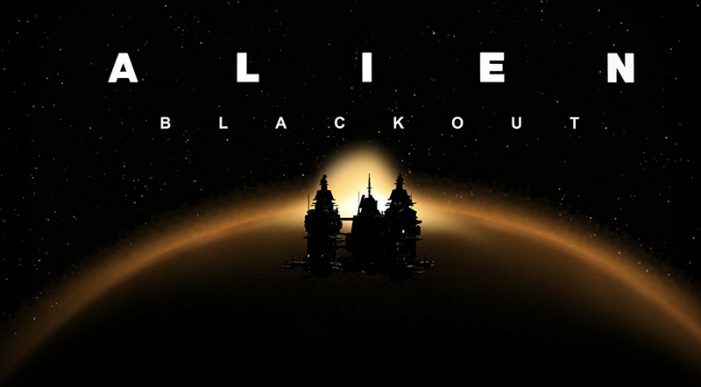 Though Alien: Blackout had a bit of a rough reception, it’s been released to generally positive reviews. What’s it been like in the office to go from such a negative response to a much warmer reaction? While it’s extremely cool that people are now embracing Blackout for what it is, we were never really all that worried. Everyone at the studio felt that we had made a solid game, so it was just a matter of sitting back and waiting for people to actually play it. Admittedly, it felt like a weight coming off when the actual reviews started to roll out, but for the most part, they were affirmations of things we already knew. Fox Next’s Vice President TQ Jefferson has previously talked about the possibility of Blackout coming to other platforms, specifically the Nintendo Switch. We’ve seen some other Premium Mobile titles like Deus Ex: The Fall and Five Nights at Freddy’s also appear on PC. Do you know if there’s been more discussion about other ports of Alien: Blackout? That’s the sort of discussion that remains firmly above my pay grade. That’s actually everything from me! We do have a few questions from members of the Alien vs. Predator Galaxy community though. Tamás Juhász, from our Facebook group, would like to know if there’s any additional content planned for Alien: Blackout? Have there been any discussion about continuing with the Blackout storyline? Or perhaps a new game using similar gameplay mechanics? While there’s always discussion, there is nothing planned right now. If there’s sufficient interest, who knows? The same goes for games with similar mechanics as well. 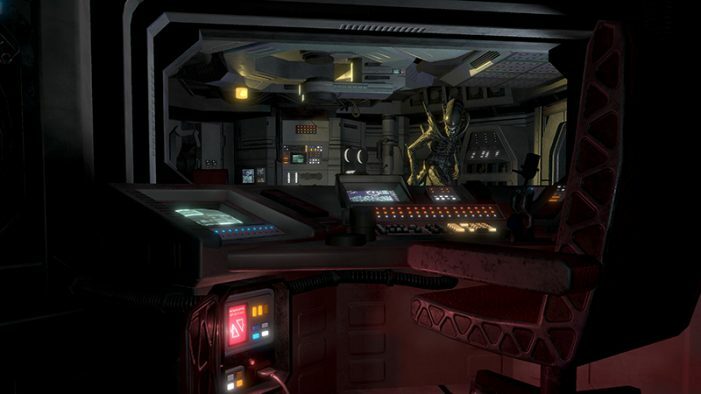 The Cruentus would like to know how Alien: Blackout fits into the greater Alien lore. While not Isolation 2, it’s obviously a narrative sequel to Isolation. Does the new comic series Aliens: Resistance reference the events of Blackout at all? I would be (pleasantly) surprised if it did, as it was created separate from us. Shevvie would like to know if Rival is collecting any telemetry data from Blackout? He’s very curious about which characters are dying the most! Good question! I’d really like to know that one myself, but do not have that data. Thank you once again for taking the time to answer our questions. Before we sign off, is there anything you’d like to share to our readers that I haven’t given you the opportunity to put across? Any anecdotes about Blackout or thoughts? In any case, thank you for all your questions. It’s been a pleasure. Thank you again to JD for answering our questions. If you’re interested in learning more about JD you can follow him on Twitter.